Summer is behind us, and cooler fall temperatures are on the way! We are so excited at That Store to tell you about a new brand for fall. We are now your go-to source for Under Armour! That’s right. The brand is a little departure for us from all the smocking, longalls and applique pant sets. But I think it’s time to pay a little attention to the older boys in our lives! Little boys love to play sports. With my little boy, Jack, sports is what it’s all about! 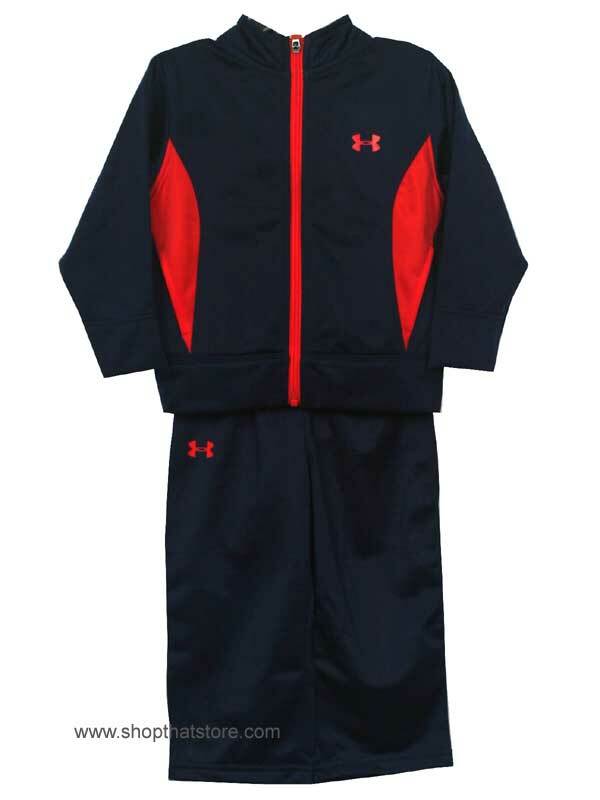 Under Armour is the best at dressing athletes of all sizes. Their motto is “Wear this to feel dry & light”. 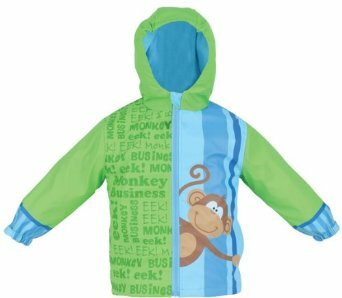 Now, what little boy doesn’t need a cool fabric to wick away moisture while he’s on the move? Check out our first new arrivals of Under Armour in-store AND online at www.ShopThatStore.com/under-amour.html. If you like these, just wait until we go live with our REALTREE Under Armour collection! You’re gonna love it!! Other exciting new brands are on the way! I can’t wait for you to see them. Online: Free Shipping on all orders at www.ShopThatStore.com. Please use the code: FreeShipping at checkout. This offer ends Sunday, February 9, 2014. In-Store: Show this blog post to receive 10% off your Entire Purchase. (Take an extra 10% off the 40% & 50% winter clearance racks) Excludes Livie & Luca, Persnickety, Mustard Pie, Pieces by Tam & 75% racks. This offer ends Saturday, February 8, 2014 at 6pm. Online: Enjoy FREE SHIPPING on all orders! Please enter the code: FreeShipping at checkout to enjoy the savings. Shop now at www.ShopThatStore.com! Ends Sunday, January 26, 2014. In-store: Take an EXTRA 10% off All Winter Clearance. Excludes 75% off rack. Coupon Expires Saturday, January 27, 2014. Must show coupon at checkout. In-store only. We have a large assortment of John Deere toys, bibs, blankets, ties, State Tradition hats and shirts, Stephen Joseph wallets & back packs, and tons of outfits and shoes for the little boys on your list! 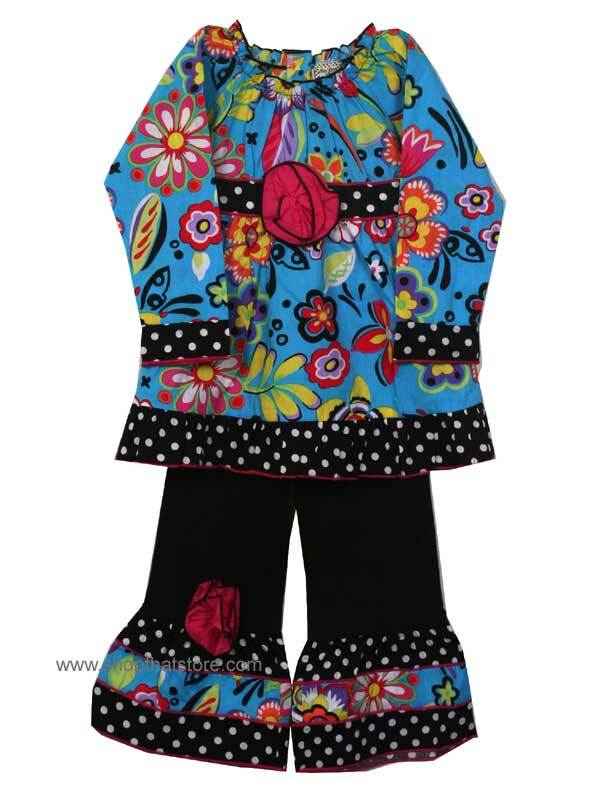 For girls, we have Emi Jays, Rosalina dolls, lip gloss, rings, Piggy Paint, Stephen Joseph bags, chevron duffle bags, bows, smocked outfits, bibs, blankets, and much more! Show us the coupon below for awesome savings on any accessory or toy! TAKE 25% OFF ANY ONE ACCESSORY OR TOY! As we enter into this holiday season, we wanted to take a moment to thank our wonderful customers who have supported us over the last 10 years! 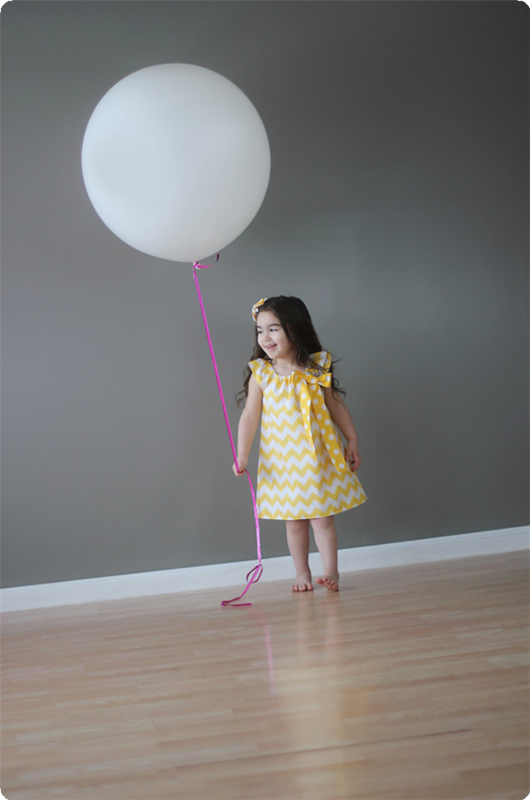 We have loved getting to know your little ones and dressing them in the very best. It has been our pleasure to serve you, and watch your little ones grow up right before our eyes. Everyone at That Store hopes you have a very blessed Thanksgiving. I have a senior at my house. Let me tell you, yours will be grown too before a blink of the eye. Treasure this family holiday! We want you to have the opportunity to beat the crowds on Black Friday. So, starting today, we are celebrating our annual Pre Black Friday Sale. For in-store customers: the entire store is 25% to 75% off! For online customers: take 25% off your entire order! Enter the code: Thankful25 at checkout to enjoy the holiday savings. Plus, receive Free Shipping on all orders over $150! Some brands are excluded. Hitting the pool or beach this Memorial Day weekend? Shop That Store for all the best deals on swimwear, summer outfits & shoes! Our annual Memorial Day Sale is underway both in-store & online. It’s time to SAVE BIG on summer! In-store: Enjoy 40% to 75% off all clothing and shoes! 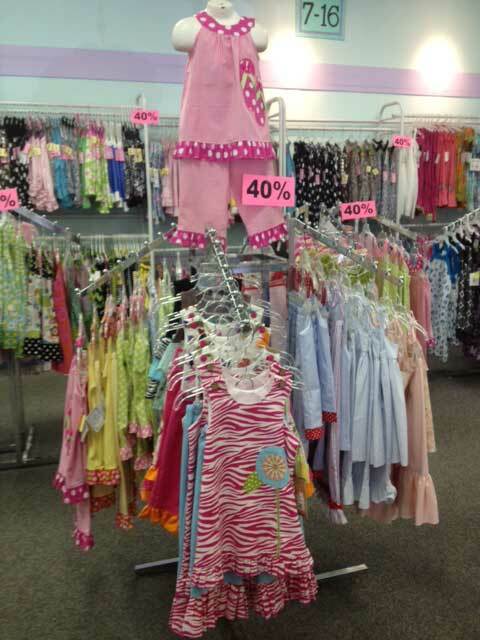 Save BIG on all your favorite brands like Bailey Boys, Peaches N Cream, Sun-San sandals, Kissy Kissy, Mom n Me, and LeZaMe! Online at www.ShopThatStore.com: Take 40% off all orders over $75! Enter the code: Memorial at checkout to enjoy the holiday savings. Pick up your order in our store by choosing the In-store Pickup Option at checkout. Excludes sale and Livie & Luca. All Persnickety is 25% off May 23rd and May 24th! Chevron is one of the many great prints at That Store! These dresses are just a few of the many colors we have in our store. 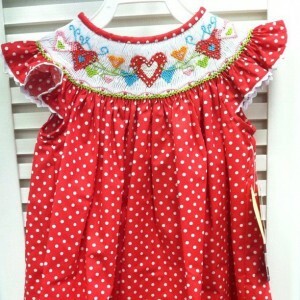 This dress features a polka dotted bow and angel wing sleeves and the bow can be removed. We have many other outfits to choose from so let us help you dress for upcoming events, parties and get togethers! We can’t wait to see you at That Store! It’s a rainy day at That Store! 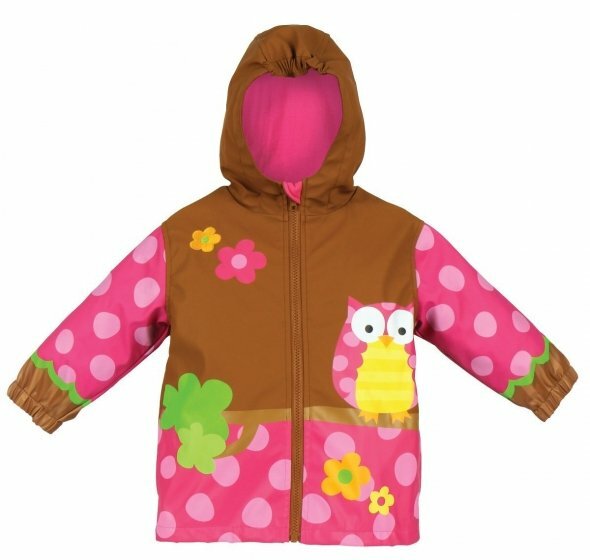 Come shop with us and let us show you all of our rain coats, umbrellas and rain boots. You can also see our wide selection of Stephen Joseph items. 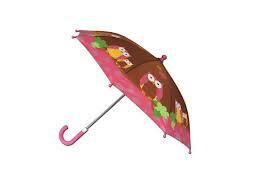 We have raincoats and umbrellas for girls and boys! 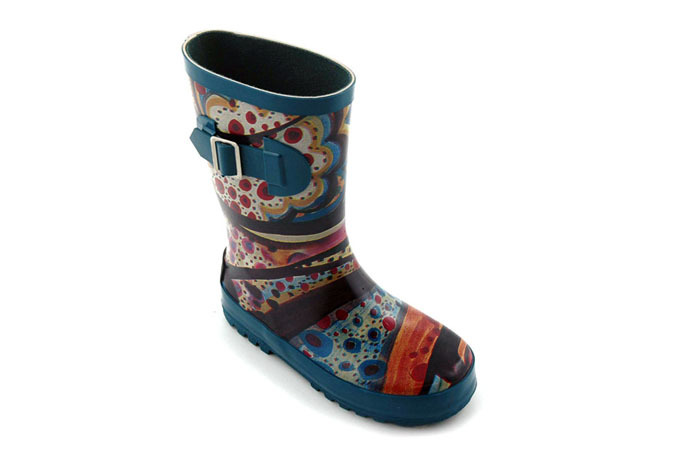 Our Corky rain boots are on sale.. so come see us today at That Store! We love our Livie & Luca shoes! Every pair of Livie & Luca shoes is unique and handmade. Their soles are lightweight and flexible for comfort. 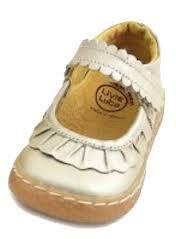 Come try on our Livie & Luca Ruche Pearl Mary Jane.. a great shoe for spring and summer! It’s looking a lot like spring at That Store! What do you think about when you think of spring? We think of bright colors, flowers, ice cream, the beach and much more. Come see what’s new for spring and arriving daily! We’d love to help you pick out your outfits for this spring and summer! Silhouette Artist at That Store! The Silhouette Artist at That Store Thursday, February 28th! We have only a few appointments left! 11:20 to 12:30, 12:50, 1:10-2:50, 4:50, 5:10 and 5:20. Call our store at 334-678-8766 to sign up! We are so excited to announce that Keith Donaldson the renowned Silhouette Portrait Artist from Walt Disney World will be at That Store on February 28th hand-cutting your children’s silhouettes! 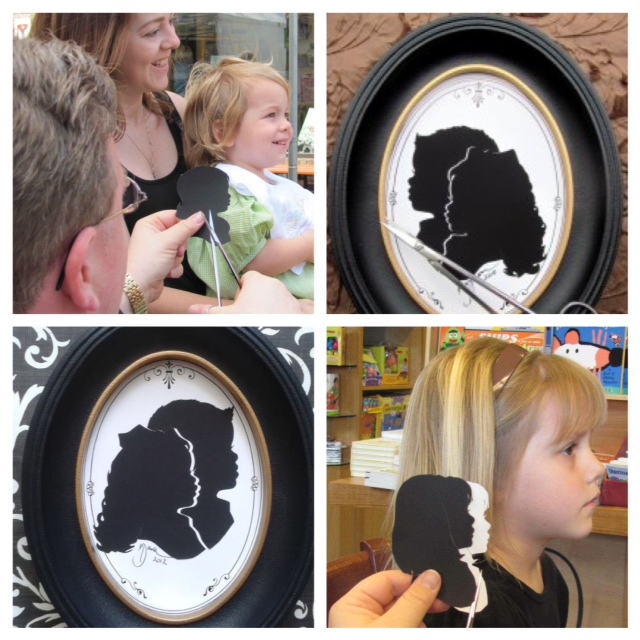 Parents and grandparents adore these keepsake silhouettes! What a wonderful Mother’s Day gift! Keith is considered to be one of the nation’s most ACCURATE silhouette artist. All portraits come with TWO matted copies! Children need only to sit for 3 minutes, and it does not mat…ter what the child wears for their sitting. All ages are welcome, including “wiggly” kids!! A single child is $30. TWO children (together in same portrait) is $50, THREE children (together in same portrait) is $55. Additional copies are $10. Silhouette frames are available for $12. Check out Keith’s website at www.ICutYouOut.com. This event fills quickly!! Please call That Store at 334-678-8766 to schedule your child’s 10 minute appointment before they are all gone! The girls at That Store are excited about all the New Arrivals! Floral prints, solids, CHEVRON PATTERNS are just a few patterns coming in every day! There’s so much to choose from this spring. 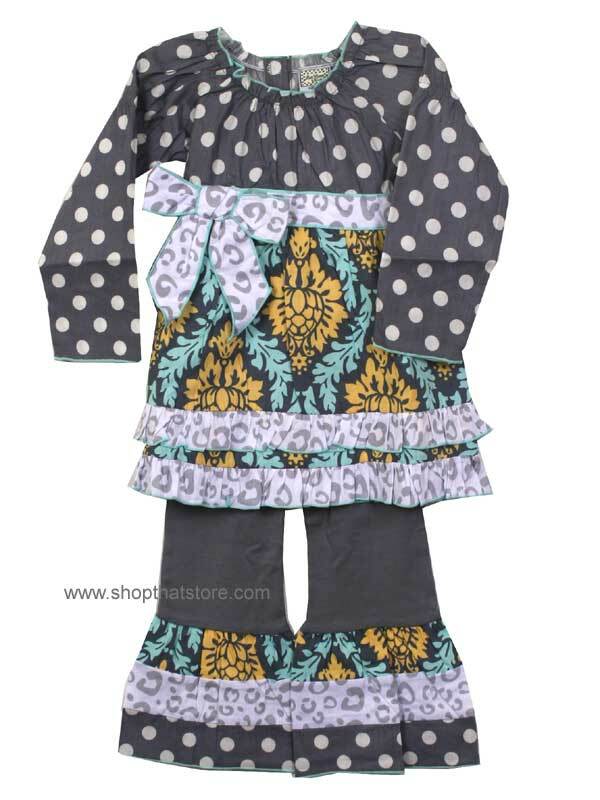 Come visit That Store and let us find a pattern that is perfect for your child! We can dress them for class parties, birthday parties, trips with the family, beach trips or just playing with their favorite friends! Please mention to us that you read our blog and also pass the word to others. We are always looking for ways to keep you posted on what is new at That Store! We have just entered the month of LOVE! We love giving coupons to our customers and from what we’ve heard, our customers LOVE receiving them! To use the coupon below, show us the coupon on your phone. Or print the coupon and bring it with you into That Store! It’s easy to save at That Store!! Hurry! This coupon expires Tuesday, February 5, 2013. Take 15% off Any One New Spring Outfit or Dress! Restrictions: Discount is taken off the original price. Cannot be used on any other offer or with previous purchase. Must have coupn for discount. Coupon is non-transferrable. In-store only. It’s only January and spring is already in the air.. be the best dressed this spring by purchasing our Persnickety items ahead of time. Yes.. that’s right.. you can order it now and it will be ready for you as soon as it arrives! Pre-order your Persnickety and pay 50% now & pay the remaining 50% when your items come in! New items are arriving daily from Persnickety and we will have it ready for you as soon as it arrives in the store. If you order on-line we will ship out all pre-orders as soon as they arrive. All pre- orders are final sale and cannot be cancelled. That Store wants to help you be the best dressed this spring! Let us know how we can help you! That Store is so excited about Valentine’s Day.. and our hearts all a flutter with our Valentine bishop by Cukees! Wouldn’t this be the perfect dress for your Valentine party this year? 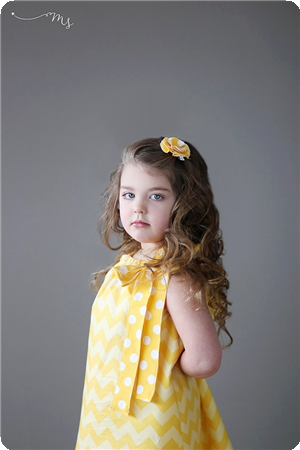 We love all of our Cukee’s dresses but we also have many other dresses to choose from..
We can help you accessorize too.. we have bows, headbands, bracelets and much, much more. We also have bathing suits for summer. Our Kate Mack swim suit in solid pink and red and white stripes are some of our favorites. 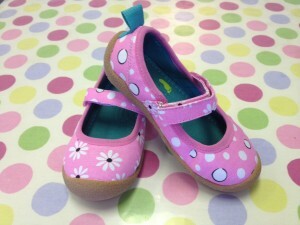 We’re super excited about one of our new brands Choose shoes! Each pair is mismatched but still coordinates with each other! How creative. While you’re here.. check out the perfect baby bag from Petunia Pickle Bottom. It would be a great Valentine gift for the new mom to be? 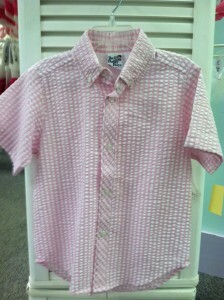 Don’t forget we have outfits for boys too. Come see us today at That Store and don’t forget to mention that you read our blog… you will receive 10% off one item of your choice! 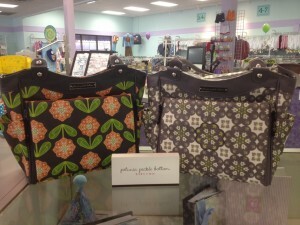 Come visit us at That Store and let us show you our Petunia Pickle Bottom bags. The Petunia Pickle Bottom Bags are a great accessory for a new mom or mom to be! We have an array of patterns and colors to chose from. 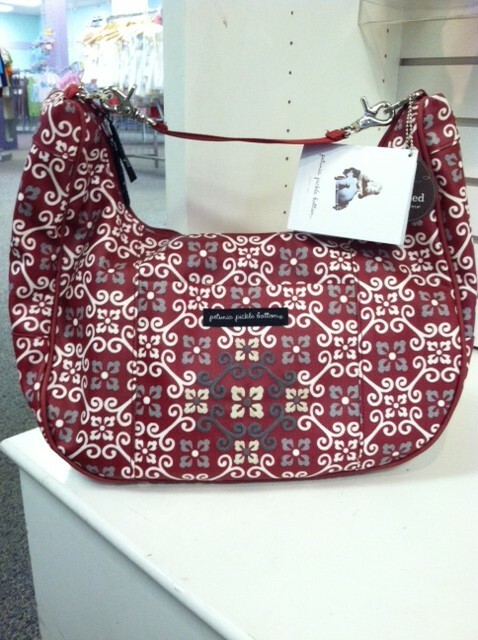 Petunia Pickle Bottom’s newest creation is the City Carryall, it’s just perfect for the mother on the move! The City Carryall is spacious and has many organizational pockets for diapers, bottles, wipes and more. It also has a built in changing station, not to mention it’s water resistant. Wouldn’t this be a wonderful Christmas gift for a new mom or mom to be? We’d love for you to be one of the first to see it! 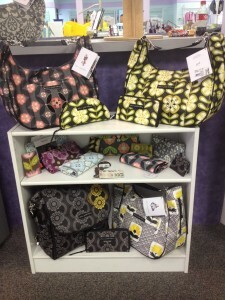 Come pick out a Petunia Pickle Bottom Bag and also let us help you with all of your holiday shopping! Who wants a $100 Gift Card to That Store? You could be a winner. You can use it online or in-store! Just think of the many ways you can use this gift card during the holidays. Entering the contest is simple! Click on this link: http://facebook.upickem.net/r/8Qr33V3APzq and fill in the submission form or click on the “Contests” box below to enter too! The holidays are fast approaching and this could be a tremendous help with your holiday shopping. If you are a winner of this gift card we have some great brands to choose from such as Livie & Luca, Mom & Me, Kissy Kissy, La Jenns, Le Za Me and much more. There are many things that this $100 gift card can be used for. Have you thought about your holiday and Christmas photos? Come let us pick out the perfect outfit. Don’t wait too long and miss out.. you could be a winner. We would love to help you this season with your shopping! That Store’s contest ends November 7th.. don’t miss it! Fall is here and we’re having a food drive to help families in need all over the Wiregrass area. Think about these families as the holidays are almost here and the cold weather approaches. That Store wants to help and you can join us! 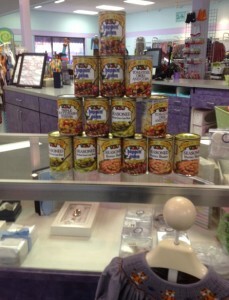 For every three cans donated take 30% off any item. (six cans, take 30% off any two items, etc.) We would love to help you with clothing your children during the fall and winter so come enjoy our sale and help others too! We are so excited! All this week, we’ve been receiving new, fall arrivals. The only problem is we have no room to put them! You can help! We’ve loaded up our sales racks with awesome deals on summer clothing and shoes! 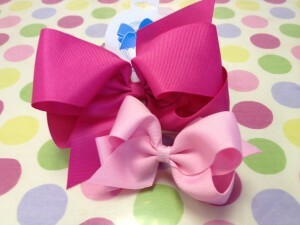 Check out our DEALS Section at www.shopthatstore.com. This section has all summer clothing up to 60% off! You need to hurry, though. They are going FAST! If you shop with us in our store, you’re in luck! All of our clothing is 40% to 75% off! That’s right. I said ALL Clothing! And, ALL of our shoes are 30% to 75% off too! It doesn’t get any better than that! So, help us make room for fall by shopping our Summer Clearance SALE! 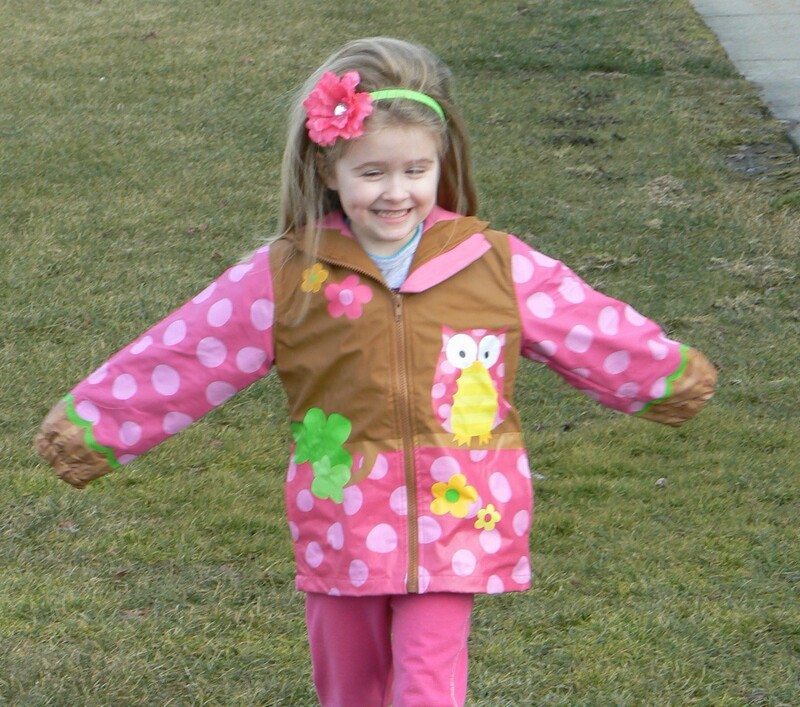 Shop our great deals on Sun Sans, smocked outfits, & much more!